GFT established in 1991, possessing the professional manufacturing experience on the Solid Carbide Tools. In order to ensure the product quality, all products manufactured apply the highest grade tungsten steel material from Europe. Due to our strict self-requirement on process, its tungsten steel tool produced could be applied to various kinds of material processing. It could ensure the service life of tool as well as the significant improvement on production efficiency. 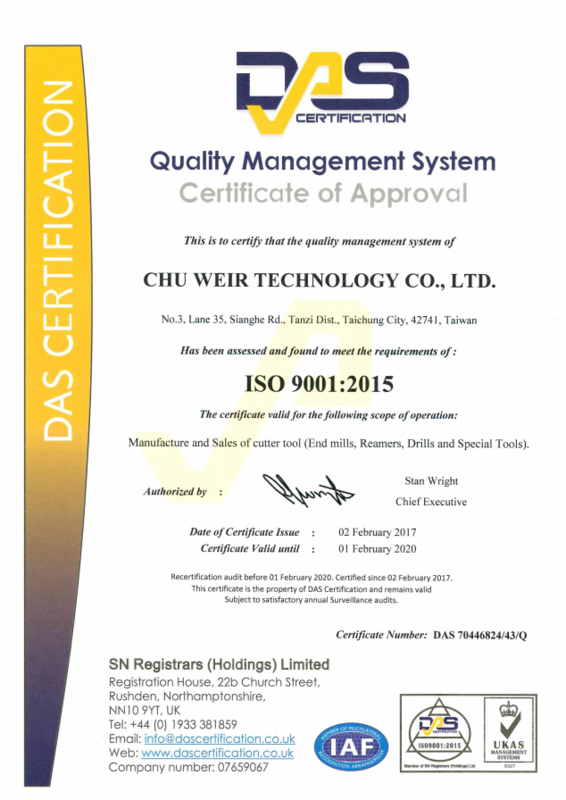 In 2017, GFT was awarded ISO9001 Quality Assurance System Certification, strictly follow the international standard in its management and control,realizing promise of Quality First. © 2017 CHU WEIR TECHNOLOGY CO., LTD.